I ordered a Strand Books x Kate Spade surprise box as part of their 20 Things We Love series of partnering with unsung companies they love. I received a Kate Spade/Strand Books tote bag (love! 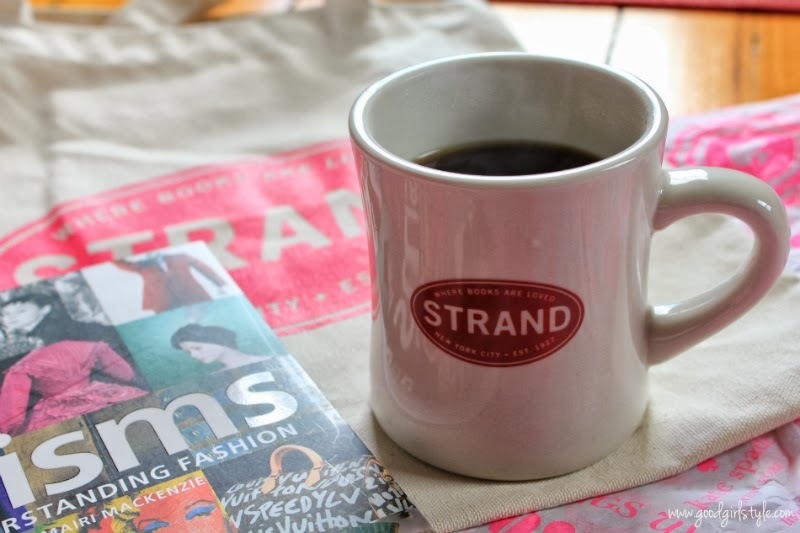 ), a Strand Books cosmetic case, a Strand Books diner mug, and a Kate Spade bookmark, all wrapped in darling hot pink tissue paper. So fun! Baked gluten-free pumpkin scones for tea (earl-gray lavender) on a gray Saturday. 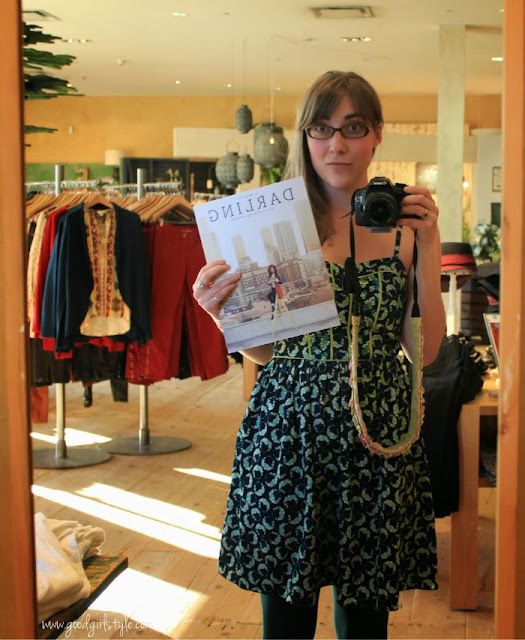 Went to an Anthropologie for the first time EVER (can you believe it?!) to find the Fall issue of Darling Magazine with my poems in it. Score!! 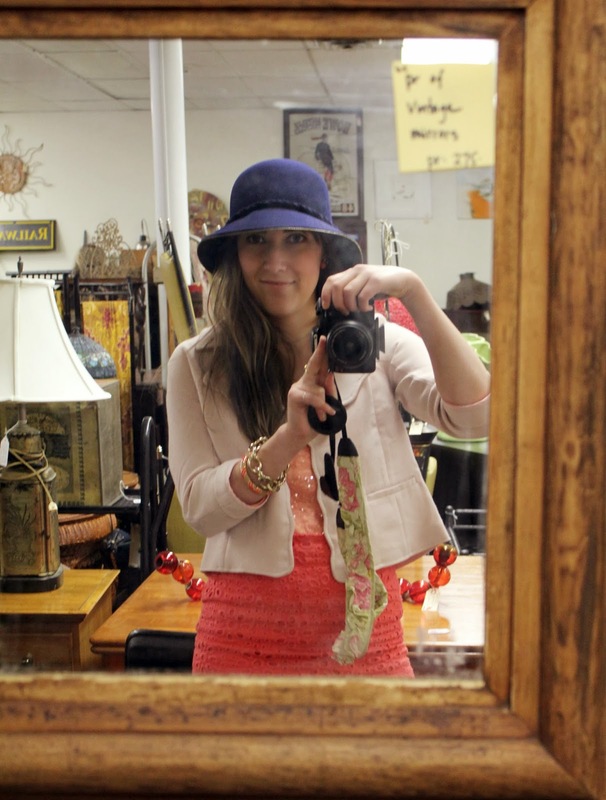 Also, the girls who worked at Antrho and J.Crew liked my outfit, which I take as a high compliment since they are all so stylish! Also had my first-ever Pinkberry (vanilla with Nutella). 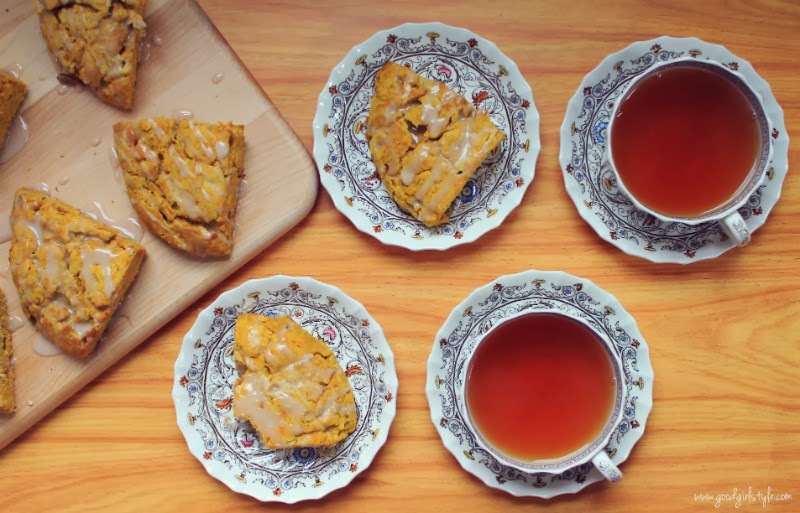 I've never been to Anthro (I don't even know where the nearest one is) but the scones look yummy!